NuPura Spa & Beauty in South Liverpool is one of the few beauty salons in the UK to be selected to carry the exclusive Eminence Organics Skin Care range and we couldn’t be more proud of our partnership with this ethically and environmentally conscious brand. Completely in synergy with NuPura Spa & Beauty’s holistic approach, Eminence Organics Skin Care products are good for you and for our planet. The brand has been using sustainable farming and green practices to create natural, organic products since 1958. Discover our Eminence Organics Skin care treatments here. 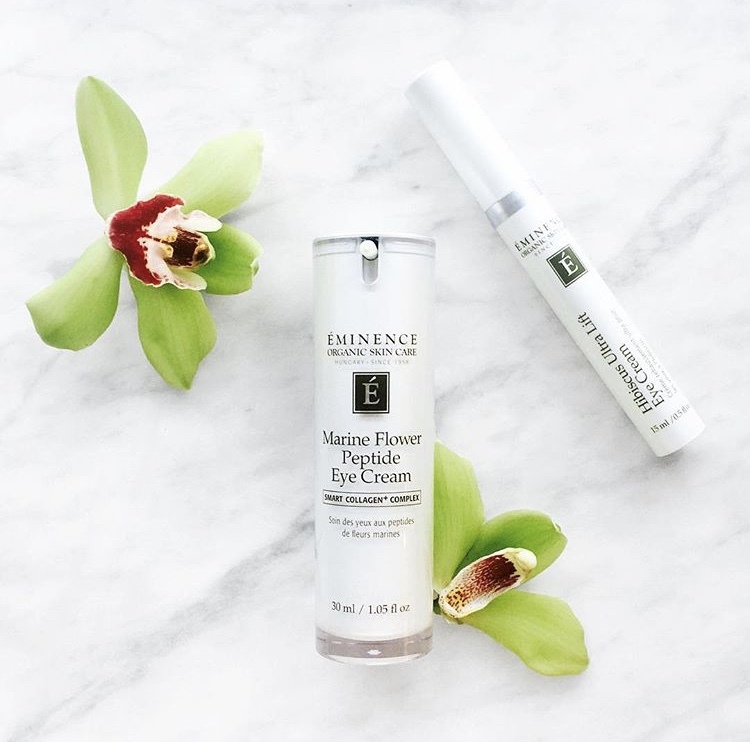 The brand of choice for Ritz Carlton hotels and resorts, Eminence Organics Skin Care believes in providing the best skin care products possible. All of its products are free of parabens, animal by-products, propylene glycol, sodium lauryl sulfates, harmful colorants and fragrances, mineral oils, petroleum and other harsh cosmetic chemicals. The brand’s products are handmade without any process that can affect the nutritional content and potency their natural ingredients. This means that the seeds, pulps and peels used in its products can provide the ultimate in regenerative and healing powers that only nature can! Eminence Organic Skin Care uses wind and solar power in the making of its products and it plants a tree for every product sold. It has also been certified by the non-profit B Lab® to meet rigorous standards of social and environmental performance, accountability and transparency - something we know is important to our customers. The brand uses Biodynamic® ingredients in all of its products. This means that they are produced using Biodynamic® farming practices in which the farm, the plants and the animals are treated as a self-supporting ecosystem that lives and breathes. The benefit to the environment is obvious, but what does it mean for the customer? This approach renders fruits and herbs used in products unusually high in nutrients and active compounds, which contributes to the performance of this results-driven skin care collection.